1. The principles and the mode of access and transfer of public sector information for the purpose of re-use was defined in the Act of 25 February 2016 on the re-use of public sector information (Dz.U. 2016 poz. 352 amended, further referred to as the Act). 2. Public sector information consists in all types of data created and held by public sector entities, such as visual records of museum exhibits, information for identification purposes contained in inventories and data files, descriptions, information and press releases on the subject of museum exhibits and their collections. 2) by publishing public sector information in the BIP or on the Museum website. Application to access and/or share public sector information for the purpose of its re-use is a common right. However, the right to re-use is subject to limitations as to the scope and the basis as defined by the Act, with regard to the protection granted by the copyright and related rights, and in particular when these rights involve a third party other than the Museum, or when the original holder/s of the copyrights and other related rights was party/partties other than the Museum, and these rights have not expired. h) in the case of an application, as described in Art. 21, ust. 2 of the Act – the period during which the information will be re-used in a permanent and direct way in real time. 2. The application form is included in Appendix 1 to the Rules. In the case of formal shortcomings in the presented application, the Museum will request from the applicant their correction within the period of at least 7 days, under pain of nullity of the application. 3. A completed application in paper form should be sent by post to the following address: Muzeum Narodowe we Wrocławiu, pl. Powstańców Warszawy 5, 50-153 Wrocław, delivered in person to the above address, or sent by e-mail to: sekretariat@mnwr.pl. 1. An application will be processed not later than 14 days from the date of its submission. In cases when it is not possible to process an application during that time it is possible to extend the deadline up to 2 months after notifying the applicant about the reasons for delay. c) makes a decision refusing the access or consent for re-use of the public sector information. 3. On receipt of the Museum’s offer, an applicant is entitled during the period of the following 14 days to complain about the infringement of the Act or to inform the Museum about the acceptance of the offer. Lack of notification about the acceptance of the offer during the 14 days from its receipt will be treated as a withdrawal of the application. 4. In the case of acceptance of the offer by the applicant, the Museum and the applicant will sign a contract based on the conditions stipulated in the accepted offer. 5. 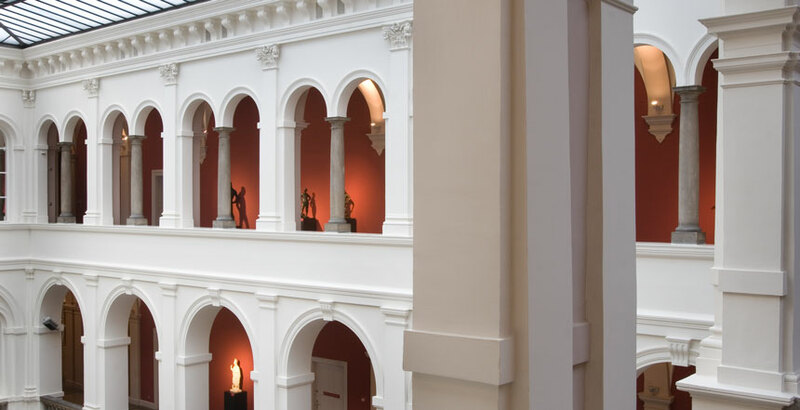 In the case of complaint on the part of the applicant, the Museum’s Director will make a final decision determining terms and conditions of re-use or the amount of charges levied. 6. Public sector information is made available in the form and format stipulated in the application, in the resolution appropriate for the purpose of re-use of this information as defined in the application. 7. The Museum reserves the right to refuse access to public sector information for the purpose of re-use in cases when its preparation will demand undertaking disproportionate actions, exceeding the scope of ordinary procedures. 1. Access to or sharing public sector information for re-use for non-commercial purposes of research, academic or educational nature, will be free of charge, as stipulated by the Act. 2. When the preparation or transfer of information requested in an application for re-use requires incurring additional costs (i.e. it is a non-typical application), the Museum may levy charges corresponding to the additional cost. A non-typical application may request access to information in a non-standard format, very high quality or resolution, or applications enlisting a large number of records (exhibits). 3. The assessment of the level of charges mentioned in point 2 involves the following factors which may impact especially on the cost or time of necessary preparation or transfer of information: cost of data transfer media, cost of postage, estimated cost of labour required from Museum employee/s, cost of transferring data into the form indicated in an application or the indicated format of data. 6) in any other way or form than listed in the above points 1-5 – 86zł for each commenced hour of work on the part of the relevant Museum employee. 5. In justifiable cases the Museum may consent to free-of-charge access and use of information also for purposes other than those non-commercial of research, academic or educational nature, as well as reduce the charges listed above (3). e) mention that the Museum is not responsible for further processing, sharing and use of the information. 2. During re-use of any work subject to copyright or other related rights, all the rights including the copyright and related personal rights of the involved parties have to be respected, including the provision of information about the surname, name or nickname of the author or the performing artist should it be known, and preserve the integrity of the work of art or the subject of related rights. 1. In the matters not regulated by the Act, a decision to refuse consent for the re-use of public sector information or regarding terms and conditions of re-use and/or charges related to re-use, is based on the regulations contained in the Act dated 14 June 1960 regarding administrative procedures – Kodeks postępowania administracyjnego (Dz. U. z 2016 r. poz. 23, with later amendments). b) a complaint is considered within 30 days from the receipt of the documents and the answer to the complaint.